Who doesn’t dream of a perfect set of white teeth to flaunt in every smile? A beautiful smile is a reflection of good oral hygiene and practices and also comes a long way in carrying an elegant look. It is the perfect accessory to any and every party, and we all give our best to achieve this perfection. But a lot of times foods that we consume such as sugar, coffee, etc., turn out to be the root cause of various problems related to our teeth. From cavity to stains, these ruin the health and aesthetics of our teeth. But avoiding these foods entirely is also close to impossible. I mean, can you imagine a day to pass by without sipping a creamy, delicious cup of coffee? While these stains don’t simply appear in a day or two after your drink, they do start leaving yellow tint overtime. The worst part is that these stains become almost impossible to remove after a while. If you search about what is EZ IO and various other procedures available today it helps to understand the various options available today for achieving perfect teeth.Although with great progress in the dental arena treatments and techniques, these treatments especially for getting back your bright white teeth without stains could be redundant if you can prevent these stains from appearing in the first place. 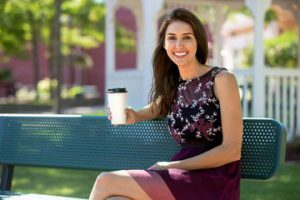 So the right way to keep a balance between enjoying your hot coffee and keeping it from staining your teeth are listed here. These six unique ways could help you flaunt your fabulous teeth with perfection. A dark and strong glass of espresso might feel like the drink of your soul. But it is important to remember the darker the color, the higher the possibility and strength of staining. If your coffee has absolutely no milk in it, then you are directly exposing it to the staining acids of your coffee that are going to leave a permanent mark. Adding milk helps the polyphenols in the coffee to bind with the protein present in animal milk that reduces the intensity of staining. Hence instead of these polyphenols staining your teeth, they reach the stomach where it gets broken down during digestion. The crucial fact here is that this is applicable only in case of animal milk as they are high in protein content and can sufficiently protect your teeth. Hence your vegan alternatives may not actually help you well. Higher fat content in milk will also help reduce the possibility of staining. The feel of the first sip of coffee is no doubt unbeatable. But sipping your coffee directly from your cup will bring it in contact with your teeth which will lead to staining. Instead use a spoon or even better a straw to enjoy your coffee. You can either grab a plastic straw or look for cups and containers that come with straws attached to carry your favorite drink any place you go. Not giving the polyphenols a chance to get in contact with your teeth is a great way to prevent any possible staining. Also using a straw comes with the advantage that your lip color will remain intact, and you don’t have to worry about a touch up before you leave. Using a straw is going to feel odd at first but in the long run, remember it can preserve your precious smile without costing you your favorite coffee. If using a straw just doesn’t seem to make you comfortable, then the only way to prevent staining is to act upon the damage immediately. Allowing the polyphenols to settle on your teeth for long duration causes deep staining. Using a good mouthwash to swish in your mouth and rinse immediately after your coffee will help eliminate the build up from damaging your teeth according to a study. 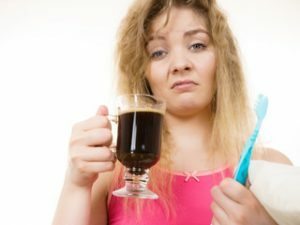 Carry a pocket mouthwash you can use after enjoying your coffee the healthy way to make sure you do not leave these harmful substances to deposit. Brushing is possibly the best way to prevent coffee from staining your teeth says a study. Use a soft bristle brush in circular motion to remove any deposit on the teeth after your coffee. This way you can be sure that the polyphenols do not form a layer over your teeth causing it to stain. Additionally, you can use whitening toothpaste that is commercially available today in stores to remove staining efficiently. Medicated toothpaste can also be a good choice for whitening your teeth. It is also very beneficial to brush your teeth twice a day. Of course, caffeine plays a crucial role in gearing you up for the day and providing you with the necessary energy. But caffeine is also the main culprit when it comes to teeth staining. In fact, higher caffeine concentration causes more intense staining that is hard to remove. Decaf or low caffeine varieties are less likely to stain your teeth in comparison. The level of caffeine determines the polyphenol content in the drink, and higher concentration varieties increase the risk and intensity of staining. Another way to prevent teeth from coffee stains is by knowing the right methods to brew your coffee. Use a percolator or cold brewing techniques to brew your coffee rather than Turkish brew or French press to decrease the chances of staining. Although these methods take much longer, methods such as cold brewing come with the reduced risk of staining which is for sure a perk to consider and weigh against the extra time taken. 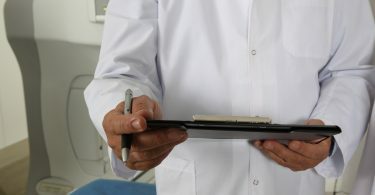 Dental technology has seen steady progress in the past few years. 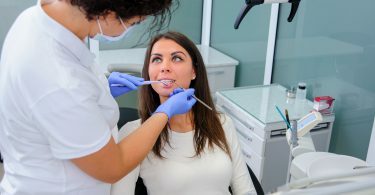 New courses such as IV Sedation dentistry and techniques are now easily accessible which can help increase your knowledge about the latest dental procedures. 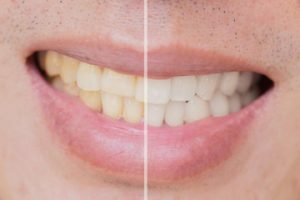 From achieving proper structure and formation to having white and beautiful teeth, everything is possible using the latest methods and treatments. Professional teeth whitening can be a great solution to achieving a beautiful set of teeth. There are whitening kits available at home although your dentist can suggest and perform the right procedures that will give back the glamour. Also, treatment with the orthodontist will make sure the whitening effects stay intact longer than home kits. A study briefs on the various the important things to know before you try teeth whitening. So if you are suffering from coffee stains, then this would be a great way to remove them. Be slightly careful while using these kits to ensure that the protective enamel of your teeth does not get damaged in the process. Other procedures can help remove any deposits in the pits and stains of your teeth hence help you maintain great dental hygiene. Ross is a blogger who loves to write primarily in the Health vertical. He has written many informative blogs in other verticals too like personal development, unique gifting blogs, etc. Thanks for the tips. Didn’t know brewing my coffee right made a difference. I already use the straw method! I also heard once that you shouldn’t brush your teeth right after drinking coffee because the acid needs a chance to wear off and it might break down the enamel of your teeth if you immediately brush. It’s a weird concept but one that has always stuck with me. Not proven, of course! Yes, you’re right. It is better that you don’t brush for at least half an hour. Rather, drink some water and swish it around in your mouth after consuming coffee.